Dr. Chng was previously an Assistant Professor with the Department of Restorative Dentistry, National University of Singapore (2001-2005) and has taught in both the undergraduate and the post-graduate Endodontic Residency Programme. Her research interest in Endodontics and dental hard tissues has resulted in 2 patents being filed, in addition to the numerous scientific papers and abstracts in peer-reviewed journals. Dr Chng has also given lectures, presentations and conducted hands-on courses on Endodontics at many professional conferences at both the domestic and international level, including U.S.A. and Australia. 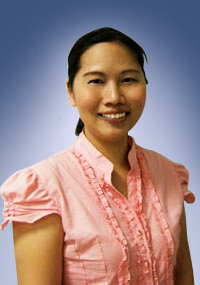 Currently, she continues to serve the Department of Restorative Dentistry, National University of Singapore as Adjunct Senior Lecturer.